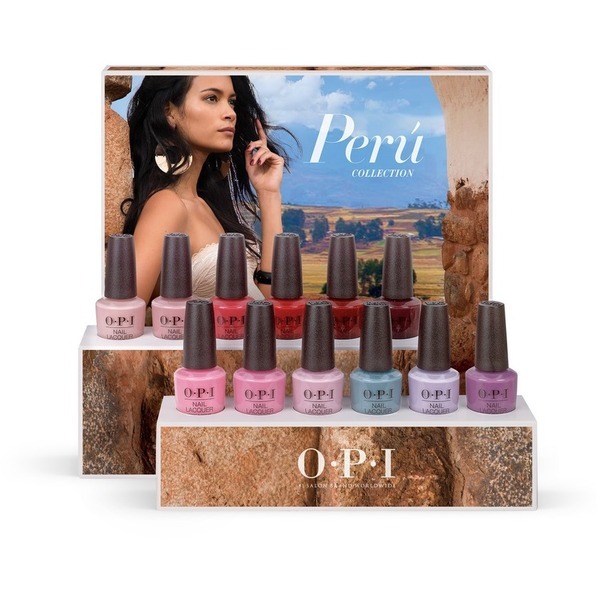 OPI Peru Collection - Be inspired by the wonders of Peru! Seeking natural beauty with a bohemian vibe, inspiration was everywhere, from stunning geological sites like Rainbow Mountain to the magnificent Incan ruins of Machu Picchu. With deep roots in ancient culture visible across the country’s architecture, food, and fashion, Peru offers visitors a transcendent, spiritual experience. OPI is renowned globally for its Nail Lacquers - a brilliant, chip-resistant, professional formula available in over 200 fashion-forward colors. With clever names that customers look forward to with each new Collection, OPI Nail Lacquers are beloved around the world, and trusted by professionals. All OPI lacquers are DBP, Toluene and Formaldehyde free. Some say OPI is the "gold standard" in nail polish. They have proven to go above and beyond in performance and wear. OPI IS FOR U.S. SALE ONLY - NOT FOR EXPORT. The sale of all OPI products is limited to beauty industry professionals, salons and spas.